We are engaged in Manufacturing, Exporting and Supplying of a range of Tyre Flaps,Hollow Mats,Hexagon/Octoganal Mats,Door Mats,Pin & Grill Mats,cow Mats,Stable mats,Kitchen/Restaurant Mats,GYM mats,Playground mats,PP Mats,Coir mats Etc. 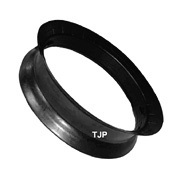 TJP Group of Companies is a confluence of some of the bigwigs in the rubber matting industry in India. Our group has attained a distinguished position in the industry for its manufacturing, exporting and supplying rubber products like rubber matting, rubber stall mats, rubber stable mats, polypropylene mats, tyre flaps etc. We are also providing effective after sales services for our range of rubber matting and tyre flap. Some of the highlighting products and their categories from our wide kitty are like rubber matting, rubber stall mats, rubber stale mats, polypropylene mats, etc.